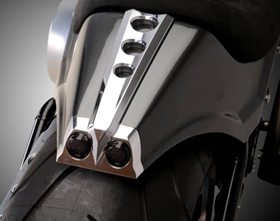 Uranus chrome headlights feature a new innovative design which will make your bike stand out, giving it a unique look. 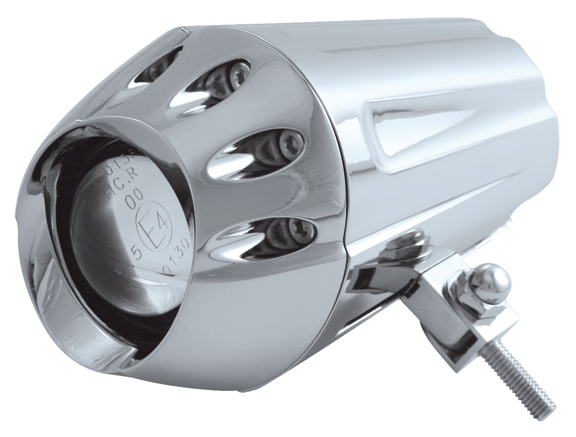 These custom motorcycle headlights are direct bolt-on replacements for the stock Harley lights and can be installed on any chopper, bobber and most custom motorcycles. We also offer black headlights for customers that prefer the “dark look”. 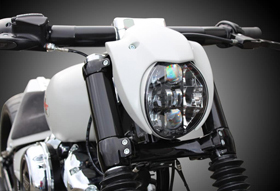 Thic custom motorcycle headlight looks great combined with our Turn Signal Grips. 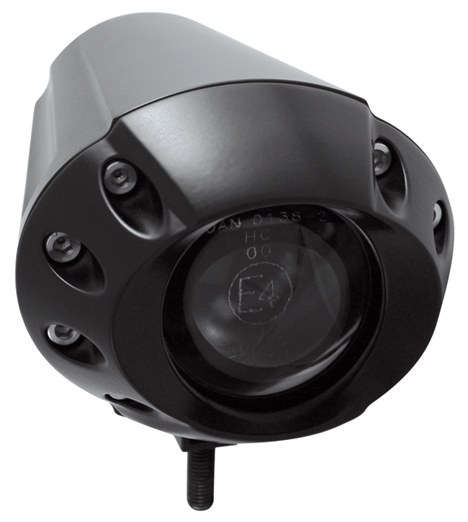 They feature a 2″ diameter projection light with a shutter for high beam and low beam functions. Candle power: one H-1 bulb 55W. Headlight dimensions: width 4.33”, height 3.54”, depth 5.90”. do they fit on a stock night rod? do you have any pics of them fitted? Thank you for your interest in Eurocomponents’ Uranus Chrome Headlights. Yes, you can fit the Uranus motorcycle headlight on your Night Rod using our Headlight Mount Adapter for V Rods. Sorry, no other pics other than what you see here. will this fit a 2002 Kawasaki Mean Streak 1500? if not, do you have headlights that do? We never tried installing it on a Kawasaki Mean Streak. If your headlight is currently mounted through a single hole on the bottom triple tree, than also ours will fit.